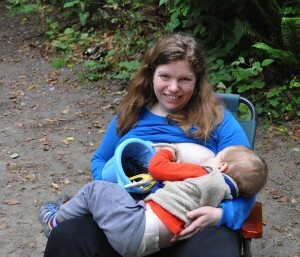 The word breastfeeding typically conjures up soft-focus images of mom/baby blissful, peaceful togetherness. The baby is still, looking up into mothers eyes, or perhaps drinking with eyes closed. Mother has a dreamy look on her face as she enjoys the warmth and glow of oxytocin. It is a beautiful, serene picture. Some older nurslings will find it absolutely necessary to keep at least one hand busy throughout the nursing time. 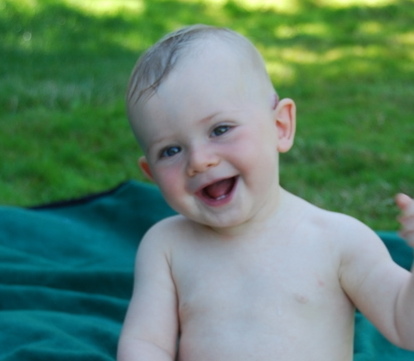 Your baby may want to play with your hair, your necklace or a toy. He may even want to hold the other breast. Even though all of these behaviors are perfectly normal and developmentally appropriate, I’m the first to admit they can be annoying. Breastfeeding is a relationship between 2 people. If there is something going on during breastfeeding that is painful or you simply don’t like it, it’s perfectly ok to say so! When your newborn baby didn’t latch correctly and it hurt, you broke the latch and tried again. If your toddler is amused by pinching your belly fat while she’s nursing and you don’t like it, you can let her know it’s not ok. It’s completely appropriate for you to set limits. It’s your body! If, on the other hand, you find your nurslings acrobatics amusing and cute, by all means, enjoy! 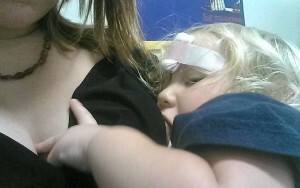 One of the truly wonderful and often overlooked benefits of nursing toddlers is the immediate pain relief it provides. Toddlers fall—a lot. They bang into things. They get frustrated by what they can’t do yet. 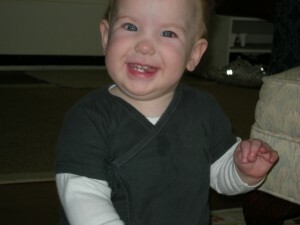 A quick dose of your milk will often cure whatever has made your toddler dissolve into tears. Whether it’s rage or pain, nursing is nothing short of miraculous. Enjoy your nursling. This time is short. Soon he’ll be running around having fun with his friends and will simply be too busy to cuddle with mommy. Oh, ok.. maybe just a little!